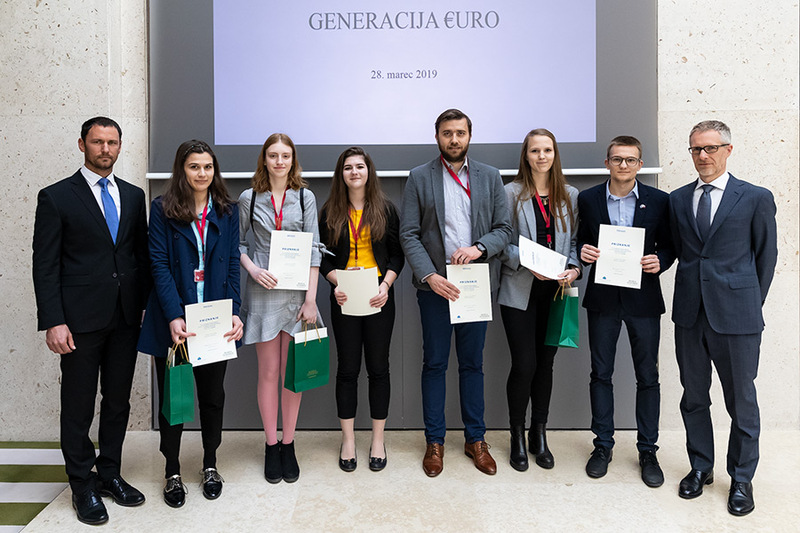 The team of the Diocesan Classical Gymnasium students with Amber Bervar, Tinkara Toplak, Vita Hrast, Jerneja Koren and Nik Smerkolj, is the winner of the Slovene part of The European Central Bank (ECB) international competition entitled Generation €uro. 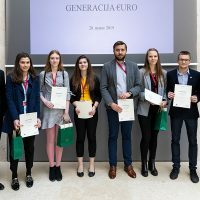 It took place on 28th March 2019 in the Bank of Slovenia, joining 21 teams from 11 Slovene high schools from all over the country. This is the third win for the DCG team at this competition.